Hemiparesis usually results from a stroke. Anyone can suffer from a stroke, both the young and the old. The effects of a stroke vary widely depending on the location and size of the effected region of the brain. The degree of impairment can range from barely noticeable disturbances to moderate disabilities to permanent bed rest. Initially, the paralysis is limp while later on tension in the muscles increases more and more until it is finally convulsive (spasticity). From this it follows that hemiparesis patients can only be helped in the long-term when all three problem areas are resolved. REMOD solves this problem by way of two interlocking therapeutic approaches, movement training in combination with the use of an electronic device for posture control. The core of the training is exercises based on biomechanical principles with respect to the optimal execution and attribution of various partial movements that take place when walking. That means the person relearns how to walk and practices movement patterns. ReMoD solves the problem of lack of control of paralyzed parts of the body and the lack of memory power for learned movements with a biofeedback process, which consists of an electronic device for posture control. 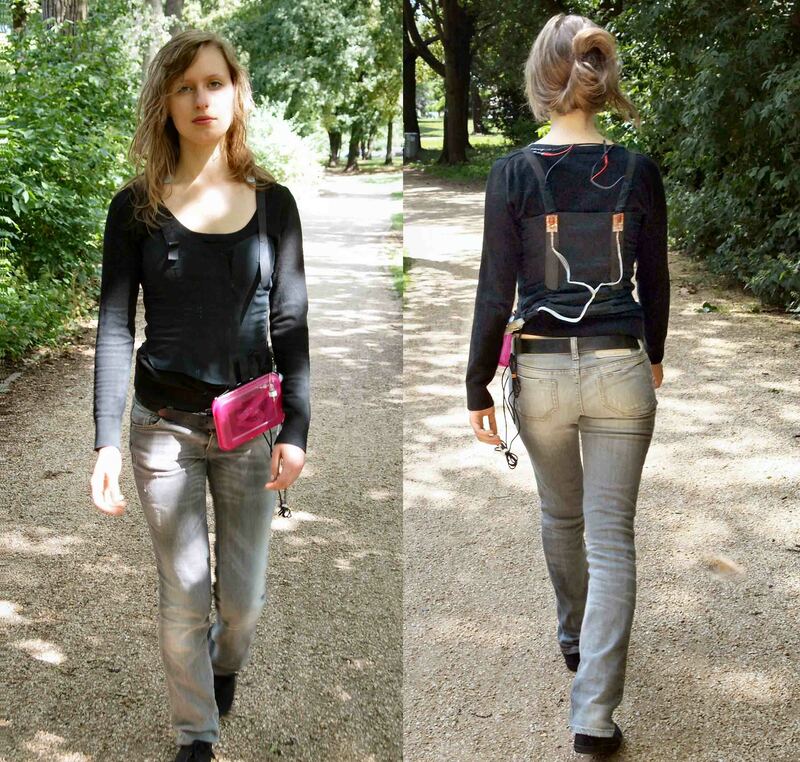 The device uses sensors to measure the body’s movements. The measured values ​​are evaluated in a small computer and forwarded to a signal transmitter. Poor posture is signalled to the patient in real time via an electric pulse, resulting in the knee-jerk correction of their posture. Thus ReMoD completes the interrupted communication between the brain and the motor system. 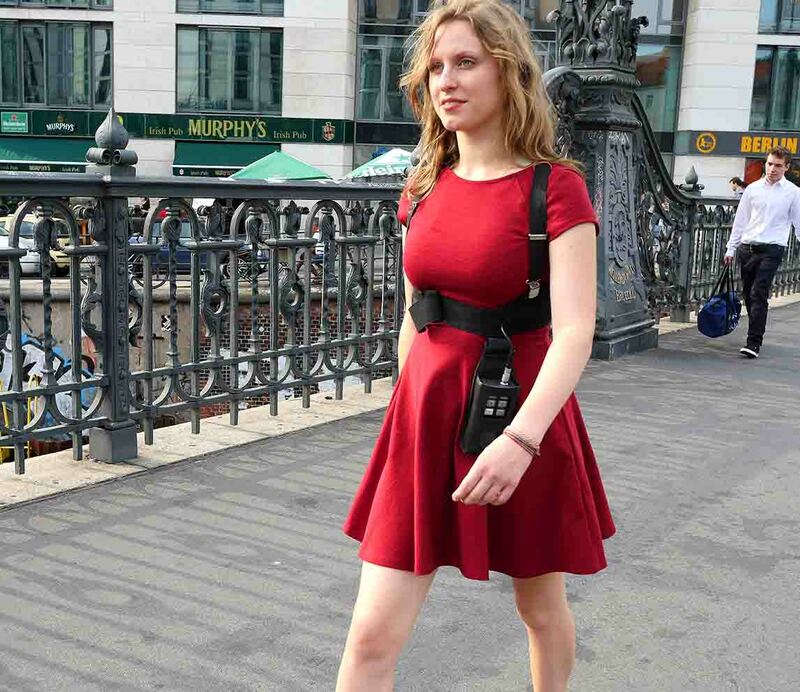 REMOD can monitor either the torso, hip, spine or legs. 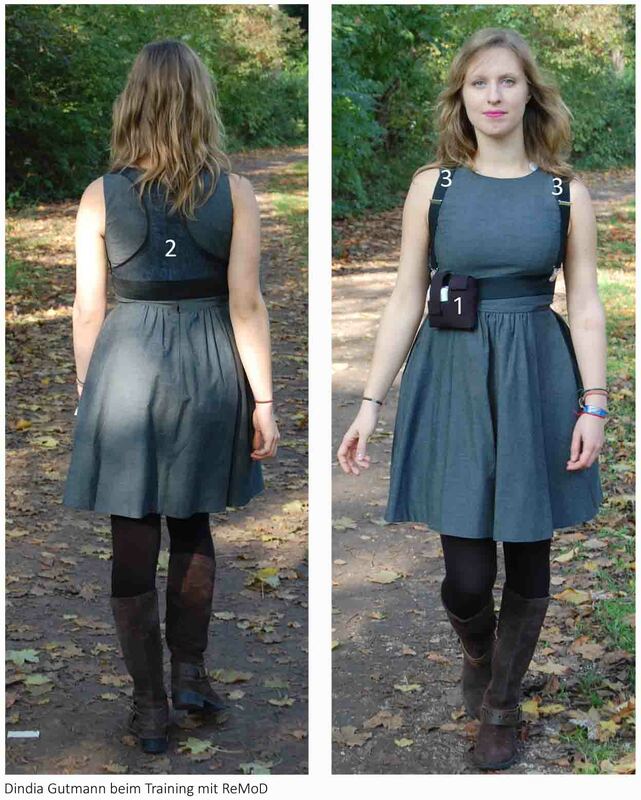 The individual device components are incorporated into a small vest. The device is small, portable and can be used in everyday life. The therapy possibilities for hemiplegia are limited. The destruction of nerve cells is irreversible. Hemiparesis in typically addressed with physiotherapy. In this form of therapy, many tools are used to actively address partial aspects of hemiplegia. Weak dorsiflexion can be alleviated with an electronic foot lifter for example. This device is also available as an implantable version. The problem of overextension of the knee joint and pes equinus can be alleviated by way of an orthosis. Therapeutic devices can be used to stimulate nerves and regeneration. Special walking frames are very helpful to help patients back on their feet after a stroke. Hippotherapy is a special form of physiotherapy. This can be very effective and has lead to amazing results just like the Bobath or Vojta therapies. Nevertheless, the main problem never goes away: the patient cannot operate and control their own movements. In addition, the patient cannot remember the results of what they have learned. Therefore the results obtained never last. As illustrated briefly above, the possibilities of physical therapy are limited. At best, ingrained patterns of movement can to some extent be re-activated and muscles are trained and thus protected against regression. Stiffness can be relieved through exercises and severely impaired sense of equilibrium can be trained. Dindia Gutmann is paralyzed on one side as a result of a stroke at birth and suffers from spastic hemiparesis. The consequences of the paralysis meant progressive immobility. As a result, she had to be increasingly hospitalized, mostly due to inflammation in the gastrointestinal tract and severe dizziness with frequent falls. The spastic convulsions intensified over the years and occurred several times a day from age 11 on. Dindia could only walk distances between 50 and 200 meters at the age of 11 years. She was mainly transported in a buggy. A wheelchair was inevitable due to her increasing weight. Dindia was considered beyond treatment. Doctors ruled out the possibility of an improvement in her condition. In the hope of avoiding a life in a wheelchair, in 2002 at the age of 12 Dindia began daily movement training that closely followed the laws of biomechanics. Alongside this an electronic device for motion control was used. Both movement training and the device have been continuously optimized over the years. The progress achieved while walking led to a significant reduction of the damage caused by paralysis. Pain decreased, her overall physical health improved as well as her mental health. The daily spastic convulsions occurred only once to twice a month. Today Dindia enjoys hiking of up to 4 hours in a day. In training she has no problem in walking up to 14 km. The hemiparesis is usually triggered by a stroke. The effects of a stroke vary widely depending on the location and size of the effected region of the brain. The degree of impairment can range from barely noticeable disturbances to moderate disabilities to permanent bed rest. Often varying degrees of hemiplegia result affecting the arms, legs, torso and lower half of the face. Initially, the paralysis is limp while later on tension in the muscles increases more and more until it is finally convulsive (spasticity). The basic problem of hemiparesis is the damage to the nerve pathways. The exchange of information between the brain and the limbs of the paralyzed parts of the body does not work properly or not at all. Individual body parts therefore can either no longer be activated or no longer be properly activated. They are paralyzed. This in turn leads to an abnormal gait pattern and thus the inability to walk. This movement disorder then causes consequential damages such as spasticity, irreparable joint damage and torn vertebrae. In the worst case scenario, walking may be made impossible so that the persons concerned are confined to a wheelchair. This immobility leads to other ailments – not to mention the psychosocial problems, which affects the patient and their families. The re-learning of a normal stride and a normal posture is extremely important for hemiplegia people and especially for children. It is important to avoid secondary damage because these are usually even more serious than the paralysis itself.